Whether working outdoors, exercising or just in need of respite from a hot summer the Comfort Cooler System keeps you consistently cool and safe in a hot environment. Powered by 7.4V, it is used as a self-contained portable cooling system providing the portability needed to continue normal functions without being tied down to a power outlet. The battery powered pump built into this back pack system is designed to pump cold water from the back pack around Cool Shirt shirts and vests. Cool Shirt Shirts and Vests sold separately. 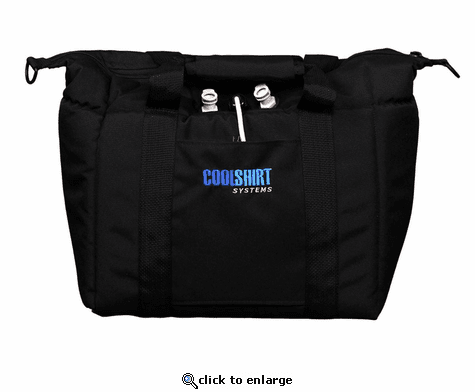 Cool Shirt® has a cooling system for virtually every application.